Tour de France winner Chris Froome’s season gets under way on Wednesday at the Herald Sun Tour where both Caleb Ewan and Jack Bobridge will look to shine. 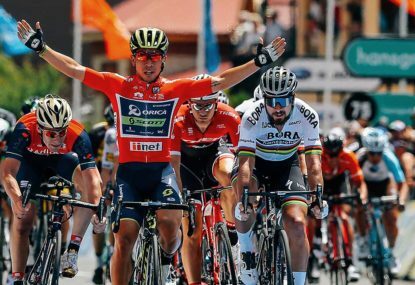 Once Australia’s premier stage race, there’s no denying that the Herald Sun Tour – now in its 63rd year – has long dropped off the radar of relevance. Much like an older brother eclipsed by his younger, pluckier sibling, the Herald Sun Tour has stuttered since the turn of the century. 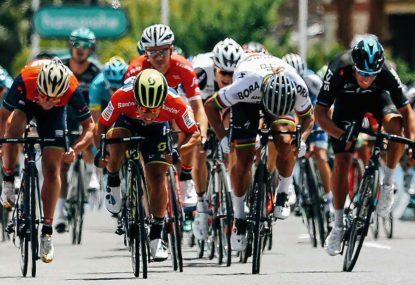 With the Tour Down Under going from strength to strength over the border in South Australia – to the extent of picking up World Tour status – the Herald Sun Tour would usually struggle to make headline news in any newspaper other than the one which lends its name to the race. The intriguing prospect of Froome kicking off his 2016 campaign for Team Sky in the five-day event in and around Melbourne changes all that, of course. Indeed, Froome’s decision to sit out the Tour Down Under but return to the Herald Sun Tour for the first time since 2008 was the subject of intense scrutiny last month. UCI President Brian Cookson said he found it “puzzling” that Froome would supposedly snub the World Tour opener and yet turn up at Adelaide for some training a few days later before heading over to Melbourne for the category 2.1 race. But a bit of context helps. Froome hasn’t ridden competitively since a foot injury forced him out the Vuelta a Espana last September; and since his last appearance in the Tour Down Under back in 2010, Froome has never raced in January, preferring to start his season in February with Ruta de Sol, Volta ao Algarve or Tour of Oman. 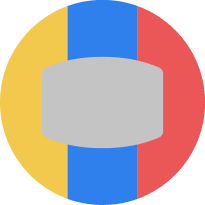 If you’re not a strong classics rider and your main focus of the season is the Tour de France, it would be folly to do otherwise. Only a season-long master like Alejandro Valverde can sustain his form throughout the year – and the Spaniard’s never stood atop the podium in Paris. 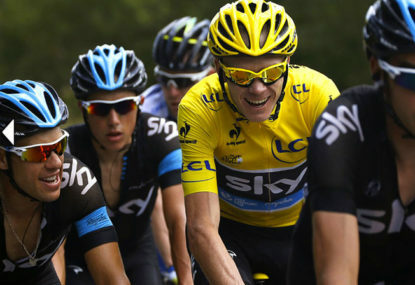 What’s more Froome, now 30, has recently become a father for the first time. Quite why he would cut his paternity leave short to ride around the Barossa Valley in a race not suited to his strengths would have been more puzzling than Froome deciding to ease himself back into competition with a lower-profile race far away from any of his big rivals. Because that’s what the Herald Sun Tour is – a small race away from the media glare; a race which involves fewer than 100 riders and in which Froome’s Sky squad are just one of three World Tour teams involved (alongside Bobridge’s Trek-Segafredo and the ubiquitous Orica-GreenEDGE outfit of Tour Down Under double stage winner Ewan). Let’s not beat about the Australian bush: the sun was setting on the race long before it was switched from October to February – and it’s no surprise that the likes of Marcel Kittel (Etixx-QuickStep), Mark Cavendish (Dimension Data) and Elia Viviani (Team Sky) have opted for the Tour of Dubai instead. Cavendish’s case is particularly telling. The Manxman missed the Tour Down Under because of his track commitments in Hong Kong – and although he made the trip over to ride the majority of the Great Ocean Road Race on Sunday, he was probably halfway to Melbourne airport by the time Peter Kennaugh crossed the line in Geelong. 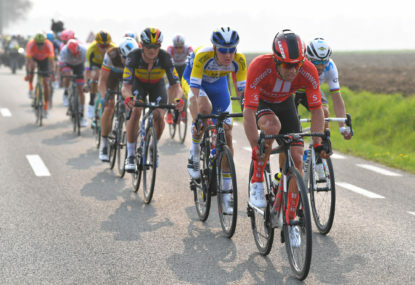 In his absence, the impressive Ewan – wearing the number one dossard – will battle it out in the sprints against the likes of Italy’s Niccolo Bonifazio (the Trek-Segafredo rider who finished third in Geelong) and local lad Steele von Hoff of ONE Pro Cycling (one of five Pro-Continental teams involved alongside Melbourne-based Drapac, United Healthcare, Novo Nordisk and Nippo-Vini Fantini). So if Ewan goes on to add to his impressive swelling tally of wins (and he picked up a brace last year – his first wins as a pro) then we should really not get too carried away: the men he needs to beat in the big races will be (at the closest) some 11,700 kilometres away across the Indian Ocean. Stages two and three – to Moe (described by me on good authority as “the armpit of Gippsland”) and Inverloch – are tipped to end in a bunch sprint so expect Orica-GreenEDGEto deliver their man to the line in front of the home crowd. A short, flat 2.1km prologue in Melbourne’s CBD could see Froome take the yellow and blue jersey on the opening day – although he may prefer to keep a low profile. 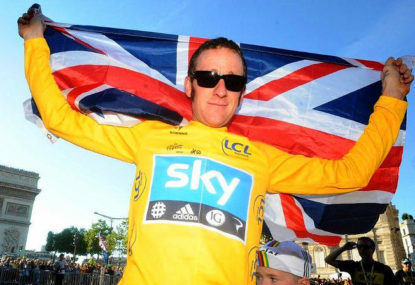 Given the route over the following four stages – which suits puncheurs rather than climbers like Froome – Sky’s main man could well be the in-form Kennaugh, the British national champion. But with a final stage that culminates with three climbs of the tough Arthurs Seat Road on the Mornington Peninsula (3km at 8.1%), there has been talk – not wholly outrageous – of a Sky clean sweep on the final podium: along with Froome and Kennaugh, Colombian Sergio Henao (who won the polka dot jersey at the Tour Down Under), promising American Ian Boswell, Welshman Luke Rowe and Italy’s Salvatore Puccio all feature in what is arguably the strongest squad on display. If Sky have the strength in depth, then Orica-GreenEDGEhave the kind of team that should be able to give home fans some final joy before the circus heads back to Europe. Although there’s no place for Tour Down Under winner Simon Gerrans, Ewan will be joined by Aussies Sam Bewley, Mitch Docker, Jack Haig, Damian Howson and Canadian Christian Meier. Over at Trek-Segafredo, national road champion Bobridge is skipping the national track championships for the Herald Sun Tour as he continues to balance his road and track ambitions in a season where his principal target remains the Rio Olympics. Bobridge is the only first-choice rider from the team pursuit squad not lining up at Adelaide and will hope to justify his decision by having a crack at the overall in Melbourne. The opening 126km stage through the Yarra Valley – which includes the tricky Mount St Leonard 20km from the finish in Healesville – could be the ideal platform for Bobridge’s pursuit of the leader’s jersey. Other names to look out for include Italian veteran Damiano Cunego (Nippo-Vini Fantini), Tasmania’s Will Clarke (winner of last year’s prologue) and Western Australia’s Travis Meyer (both Drapac), New Zealanders James Oram and Dion Smith (both ONE Pro Cycling), and local brothers Chris and Lucas Hamilton, promising U23 riders who will feature in the KordaMentha-Australian National Team. It’s hardly a stellar start-list but for different reasons entirely it will suit the likes of Froome, Kennaugh, Bobridge and Ewan to a tee. With no former winner down to start the race, a new figure will top the podium next Sunday. If that’s a rider of Froome’s global renown then it could well be the lifeline the Herald Sun Tour needs.